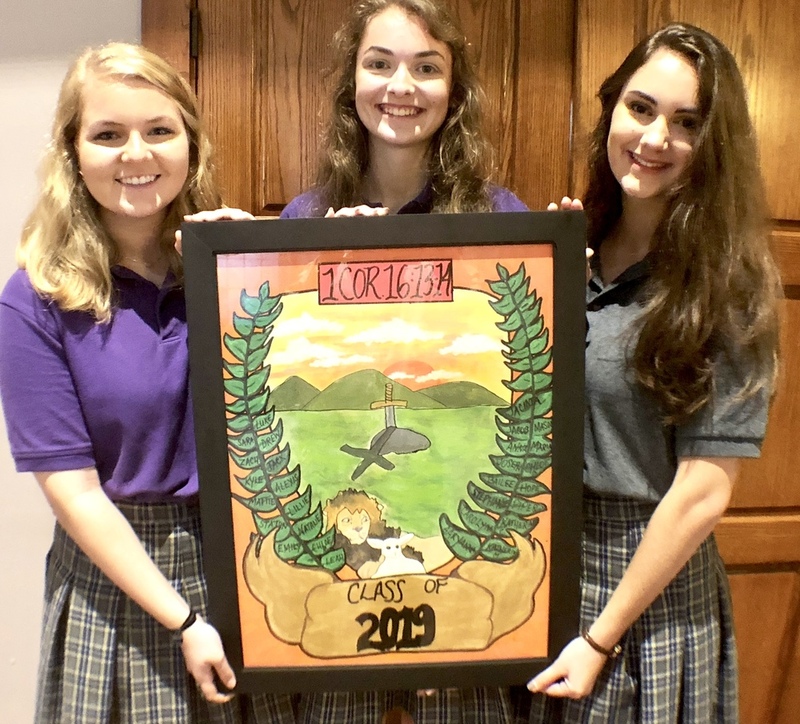 Three of the senior class officers presented the newly-designed class crest to the student body at the All-School Mass on October 3rd. President Natalie Ross, Secretary Anna Wade, and Vice-President Maria Casavechia are seen holding it afterwards. One of the crest's points of emphasis is two biblical lines from 1st Corinthians, Chapter 16, verses 13-14. "Stand firm in the faith; be courageous; be strong," it reads. "Your every act should be done with love."